Digitally destroy or alter images. Is there a better alternative to ImageGlitch? Is ImageGlitch really the best app in Image Editing category? 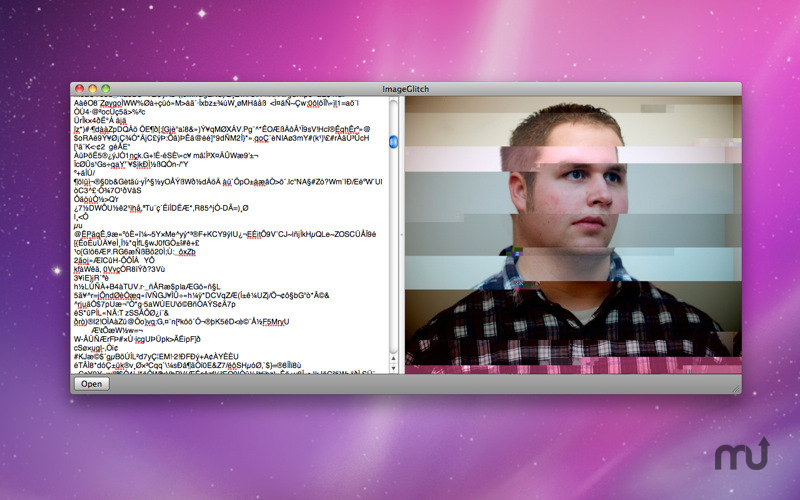 Will ImageGlitch work good on macOS 10.13.4? ImageGlitch is a way to digitally destroy images to create new works of art from your photographs or graphic designs created on the computer. Note: For best results, use JPEG or TIFF. Other file formats are hard to work with or may completely corrupt the image. Be sure to always make backups of your images with any app that makes changes to your photos. Usage is easy: just start removing some lines from the textfield on the left. You can add lines from external sources, remove lines, change lines, but read below for a few tips. ImageGlitch needs a rating. Be the first to rate this app and get the discussion started! Command + Z (undo) is your friend. You will often see your entire image disappear, just Command + Z back to where you were. The first 50 lines (give or take) are usually full of meta information, so editing these lines will usually result in no or little change to the image. The text correlates to the image, towards the top you will change the top part of the image. If you change text towards the bottom, you will affect the bottom part of the image.